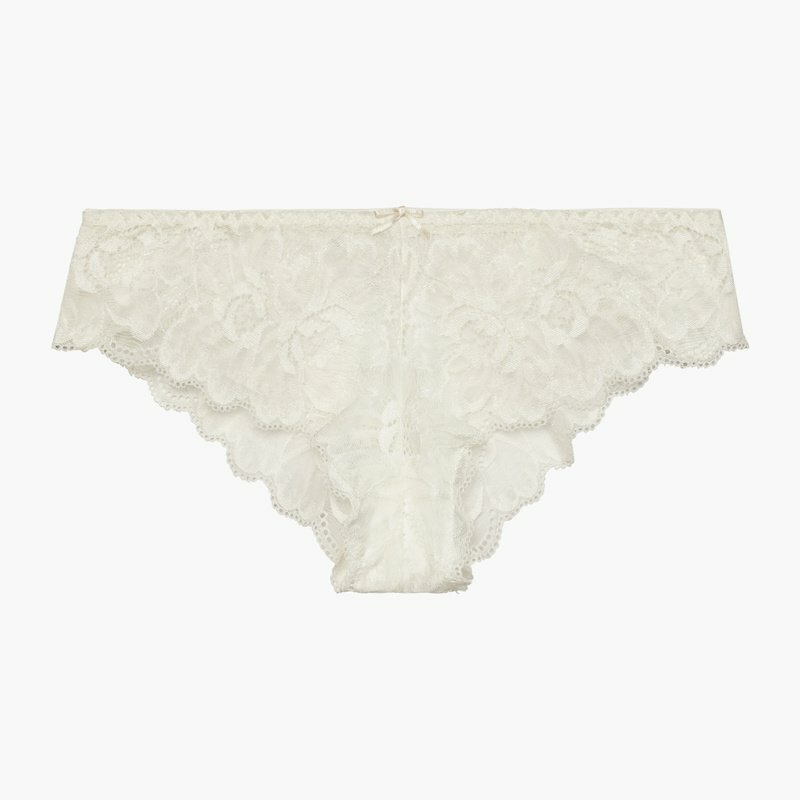 Tout simplement parfaite, la couleur est très jolie et le soutien-gorge à un bon maintien,je recommande. I love this bra! It is incredibly comfortable. I was worried about the lack of support when I first saw it and tried it on but in the end it isn't a problem at all. It might not be the best bra for a night of dancing or moving around a lot, but for day-to-day it is great! This has already become one of my go-to's every morning! I love this bra. I thought it would be too sheer, but I actually love the look. The lace gives the coverage in the right places to make the sheerness less scary. It also has enough structure to keep me perky. Best bra ever! It's the first time I find an online bra that it fits, it's cute, and super comfy. I'm in love with the fairy dust color. I haven't been disappointed yet in terms of the quality of each piece of lingerie! I did return due to it not fitting the way I wanted it to but that won't stop me from purchasing again in the near future!